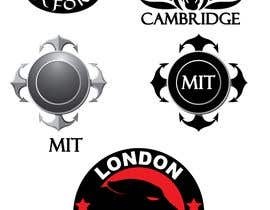 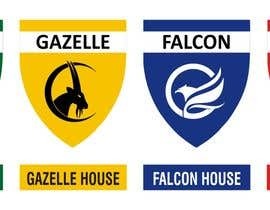 4 School House Logos. 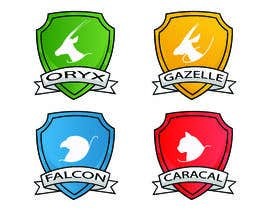 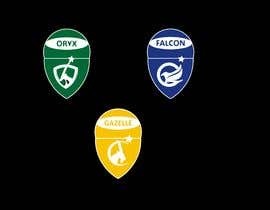 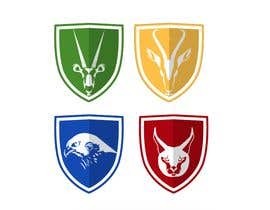 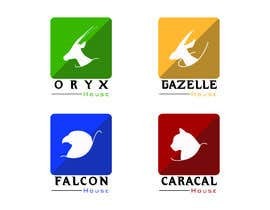 We have Oryx (green), Gazelle (yellow), Falcon (blue) and Caracal (red). 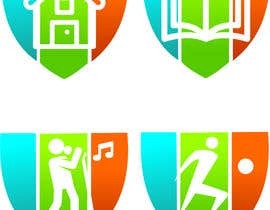 See image 1 for more details. 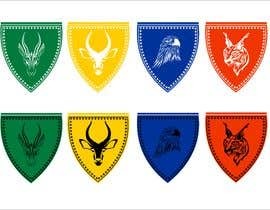 Ive attached examples of online images. 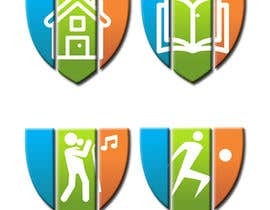 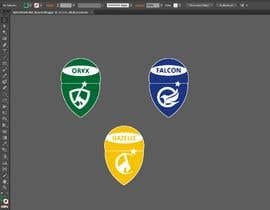 I am looking for 4 clean and simple house logos for my school house system. 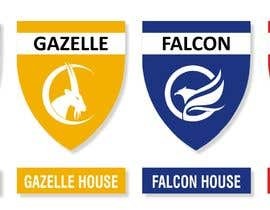 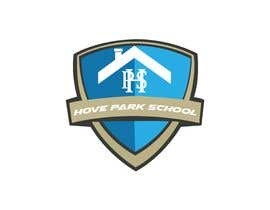 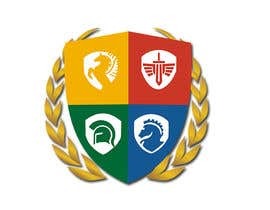 The logos are going to be used for house events such as sports days and inter house competitions. 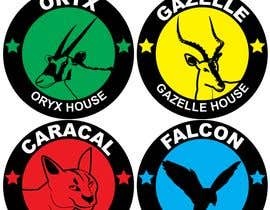 The logos may be printed onto tshirts as well as posters and school website. 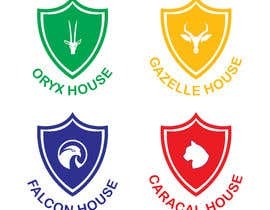 So what is the name of your houses? 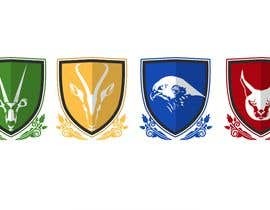 Can you please tell the name of the houses?